Established in 1988 Gatehouse Estates continue to provide Estate Agency services throughout Cambridgeshire. As well as UK residential property sales, Gatehouse Estates also operate an industry qualified lettings agency, International property show rooms in Spain & Portugal. Many of Gatehouse Estates' clients have benefited from a wider exposure to local, national and international purchasers. 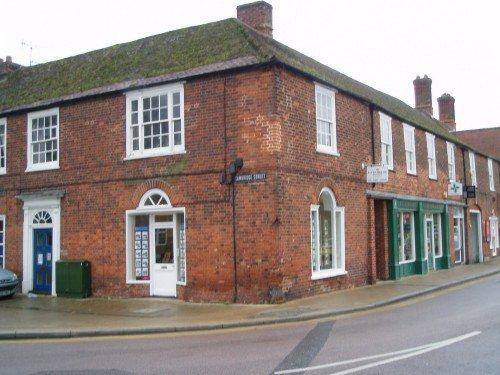 The Estate Agency side of the business is managed by owner Phillip Malley who has over 15 years experience in the local market and has lived in Godmanchester for over a decade. The Lettings side is managed by Helen Powell who has been fundamental in expanding the Property Management department of Gatehouse for over ten years. We are members of The Guild of Letting & Management. Gatehouse Estates are a firm of truly independent estate agents offering a range of properties for sale in Cambridgeshire. Gatehouse Estates has grown to become one of the most successful residential estate agents in the area, responsible for the sale of millions of pounds worth of homes over the years, from apartments and cottages to farmhouses and detached family homes. This achievement has been reached through the knowledge and experience gained by many years of dealing with a more specialised housing market. At Gatehouse Estates we are enormously proud of what we have achieved. From our inception, we have always aimed to offer the highest standard of service and professional advice within the industry. The fact that so many of our former clients return to us to sell their property time after time, I believe pays testament to the efforts afforded by everyone at Gatehouse Estates. As well as UK residential property sales, Gatehouse Estates also operate an industry qualified lettings agency, Three International property show rooms in Spain, Portugal and the UK and an International Property Lettings Office in Spain. Many of Gatehouse Estates' clients have benefited from a wider exposure to local, national and international purchasers. We offer competitive and flexible fees. Our Estate Agency agreements are negotiable, each property often requires a different approach. Talk to us, I am sure we can help.